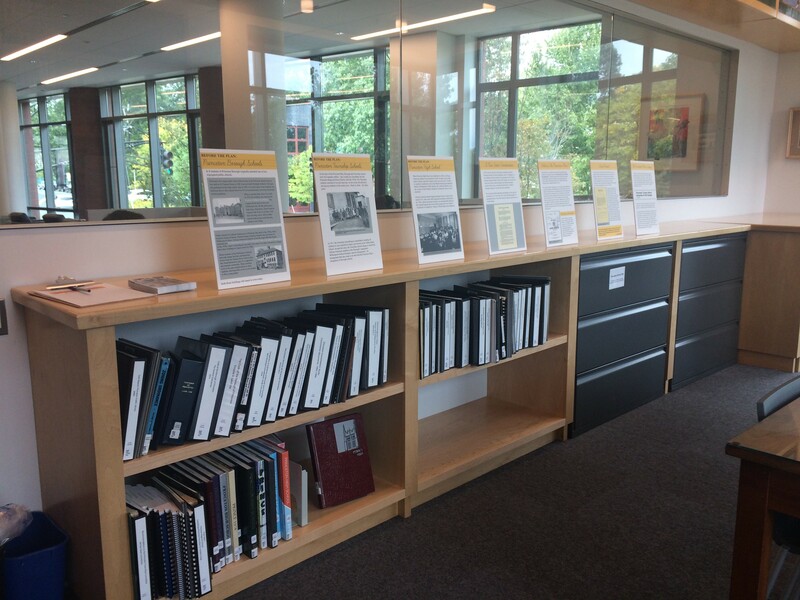 HSP presents an historical exhibition each fall in the Princeton Room at the Princeton Public Library. Stay tuned for announcements about the Fall 2019 exhibition! 2018 marked 70 years since Princeton integrated its schools using what has become known as “the Princeton Plan for School Reorganization” in 1948. Under the Princeton Plan’s the all-white Nassau Street School became the Borough’s sole integrated elementary school, while the African-American Witherspoon School for Colored Children was converted into an integrated middle school. This exhibition, presented in partnership with the Historical Society of Princeton, the Princeton Public Library, and the Witherspoon-Jackson Historical and Cultural Society, explored the local impact and national reverberations of the Princeton Plan. In conjunction with the culmination of the Princeton & Slavery Project, this exhibition drew on historical documents from the Princeton University Archives and the Historical Society of Princeton to illuminate how deeply ingrained the practice of slavery was throughout the community well into the 19th century.